Harare - The ex-Big Brother Africa Hotshot was out and about on the streets when a fan turned 'twin brother' bumped into her. Butterphly Phunk or fondly known as 'Butterphly', 'Butty Butty' and or 'Butterphliser' in the circles of Big Brother met a fairy young man who greeted her and told her he was her "twin brother" something Butterphly vehemently denied. 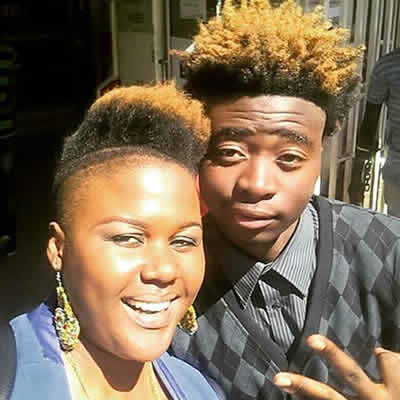 The professional radio DJ who plies her trade at top Zimbabwean radio station; Power FM however took the whole moment in good faith and also took a selfie with the excited young man.